I am a big fan of dresses for fall fashion choices. I love the versatility of dressing them up or down, and pairing them with my favorite fall accessory - boots. 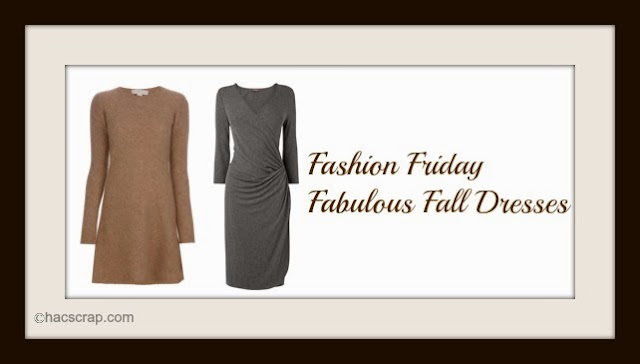 Fall dresses come in a variety of material from a jersey-knit to a merino wool, and in all your favorite fall colors. Recently, I've taken two of my favorite dresses and paired them with tights and boots - one for a nighttime look and one for a daytime look. 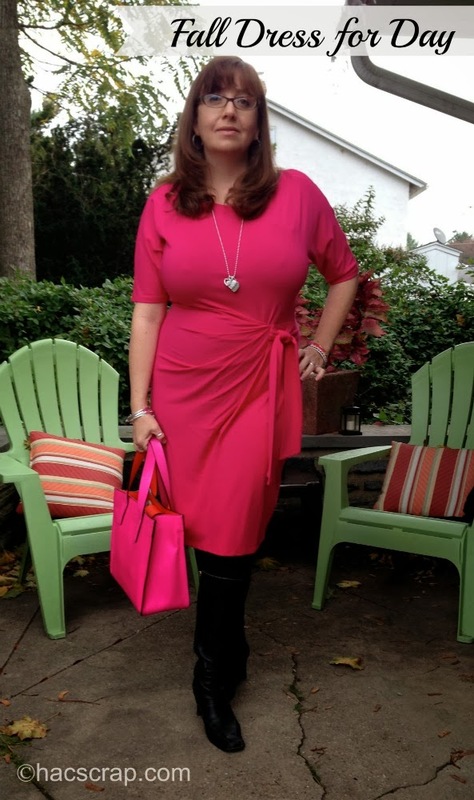 For daytime, I love this pop of pink dress from Ann Taylor. 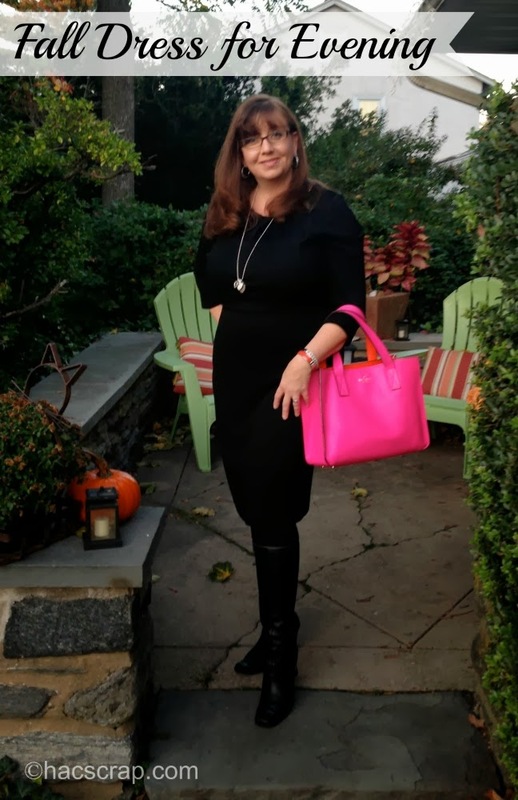 I wore it in the summer time with a pair of black patent heels, but to "fall it up", I added black tights and my favorite black heeled boots. The fabric on this dress is amazingly comfortable, and I love the faux wrap and tie on the side. It was a little chilly, so I threw a ruffled black cardi over the dress. For evening, I love this grey dress, surprisingly also from Ann Taylor. There is nothing to it, it's comfortable and with a great pair of tights (I like the Tight End Tights from Spanx), is perfect for dinner, a show, or girls night out. I wore a simple long strand silver necklace and a bracelet stack, but you can dress it up with fancy jewelry, or a sequined shrug or wrap. The great thing about this dress is that it works great for a daytime event as well. Both dresses have classic style and easy fabrics, good options for fall dressing and changeable looks. Some other fun looks with a fall dress can be to add a denim jacket for a casual daytime look (or rocker look for evening) or switch out the boots for a maryjane or spectator type of heel.You can also add colored tights for a pop of color. What's your favorite way to wear a dress in the fall? This post is linked up for #FashionFriday - check it out for more fashion inspiration.